With two horses aimed at competing internationally and potentially qualifying for the 2020 Tokyo Olympics, 20-year-old eventer Rosa Onslow knows what it takes to be successful, even while juggling a wide range of interests. Rosa’s routine includes studying at University, playing lacrosse and snuggling her Cavapoo “Hippo.” Yet horses remain her first love and passion. Growing up alongside the stunning hills of Scotland, just outside Hawick, Rosa had a picturesque upbringing. Her father, Richard, served in the Household Cavalry Mounted Regiment in the British Army for 14 years before taking on his current role as the Chairman for the Duke of Buccleuch’s Foxhounds. Her mother Cindy events up to International CCI2* and started teaching as a qualified British Horse Society Assistant Instructor, both at home and for the Duke of Buccleuch’s Pony Club. Like both of her parents, Rosa started riding at an early age and became immersed in the horse world immediately. At just one year old, Rosa sat perched upon her first steed, a Shetland pony named Oberon. By the time Rosa was six years old, she was already an active member of the Duke of Buccleuch’s Pony Club and represented the organization on several teams. From her cumulative equestrian experiences, Rosa knew she wanted to become a professional rider. And for Rosa, eventing was the clear choice. With such a tenured equestrian background, it’s no wonder that Rosa is well on her way to achieving her competition goals. She has continued to level up with both of her eventing partners, RLE Limbo Kaiser and Diamond Sundance and is currently ranked 127th with the FEI for World Athletes in Eventing. Rosa earned an Elite Sport Scholarship for her riding from Newcastle University, where she is simultaneously studying economics and politics. The scholarship has been instrumental in allowing Rosa to pursue both her academic passions while also and riding competitively. Rosa’s career highlight came when she earned 6th place in the CCI3* (now CCI4*L) in 2018 at the Camphire International Horse Trials in Ireland. The three-day event serves as a WEG trial for Ireland and New Zealand and attracts the sport’s top competitors. “I am also very proud of the fact that I was selected to compete in the Event Rider Masters Championships at Blair International on RLE Limbo Kaiser and. at 19 years old, I was the youngest competitor in the competition,” Rosa shared. The Event Rider Masters series features eventers from around the world, along with significant prize money for top-place finishers. Eventing—especially the cross-country phase—demands a lot from both the rider and the horse. A healthy partnership starts long before the first fence is jumped on the course. “You’ve got to keep your horse’s life interesting so that they want to work for you. We have a motto in the yard: treat every horse as an Olympian, and one day you might have one,” Rosa explains. With this philosophy, it’s not surprising that Rosa pays great attention to each horses’ feed and management routines. Every horse is treated as an individual with a program that is adapted to meet their changing needs throughout the season. SUCCEED is part of the equation that keeps her horses relaxed and working to their full potential. Rosa first discovered SUCCEED while riding Henton Attorney General (aka “Frank”), the horse she has on permanent loan from fellow SUCCEED rider Lizzie Green. If Frank did not receive his daily dose of SUCCEED, he wouldn’t jump a cross pole. With SUCCEED, he sails around a 2* double clear. All of Rosa’s top event horses use SUCCEED. That, coupled with a detailed management plan, has kept Rosa’s performance horses feeling their best. Every horse is given a daily dose of SUCCEED along with ad lib haylage and two hard feeds. Horses are stalled at night and turned out daily for about four hours, regardless of climate conditions. Rosa says the outdoor turnout gives her horses time to run free, get dirty, and escape all pressures, which also helps keep them relaxed. Why Rosa Onslow Recommends SUCCEED Digestive Conditioning Program. For Rosa, trust is foundational. She knows that the mutual trust she’s fostered with her horses is essential to her success. That, and feeding them SUCCEED. 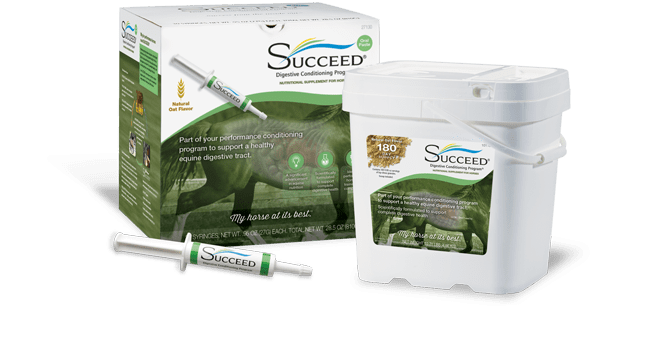 SUCCEED has transformed my horses’ performance, and I would not compete without it. They are happy, comfortable, relaxed horses, and that is not easy to achieve. 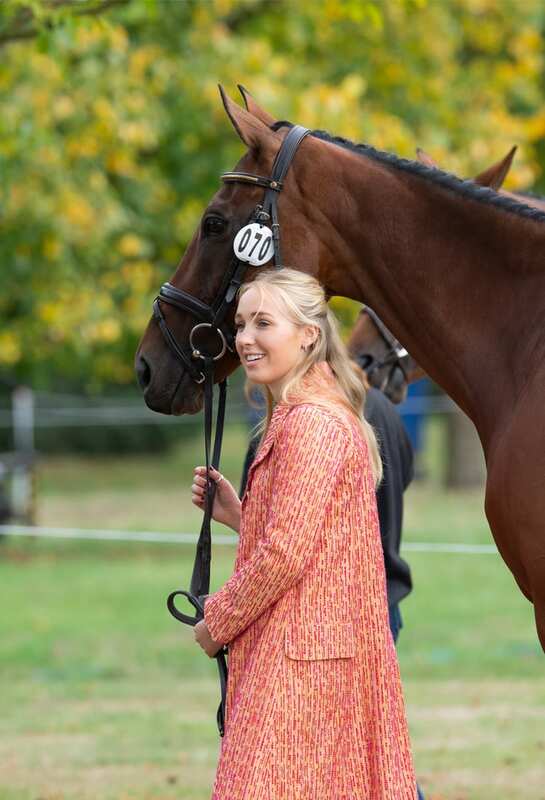 It’s this relationship that Rosa hopes will raise her competition level to 5* at Burghley and Badminton, along with keeping her Olympic prospects in sight. She’s also eligible to join the British Young Rider Team this year, and aiming for a spot with both of her horses. 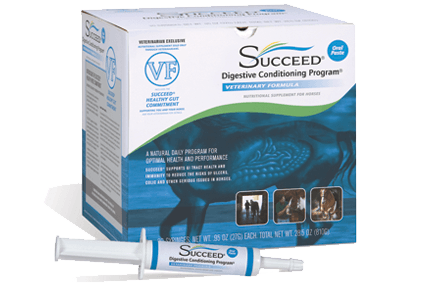 If you feed the best and make sure that everything is functioning on the inside of your horse, then top results will follow on the outside. My horses are proof of this and I am convinced that SUCCEED is the reason. 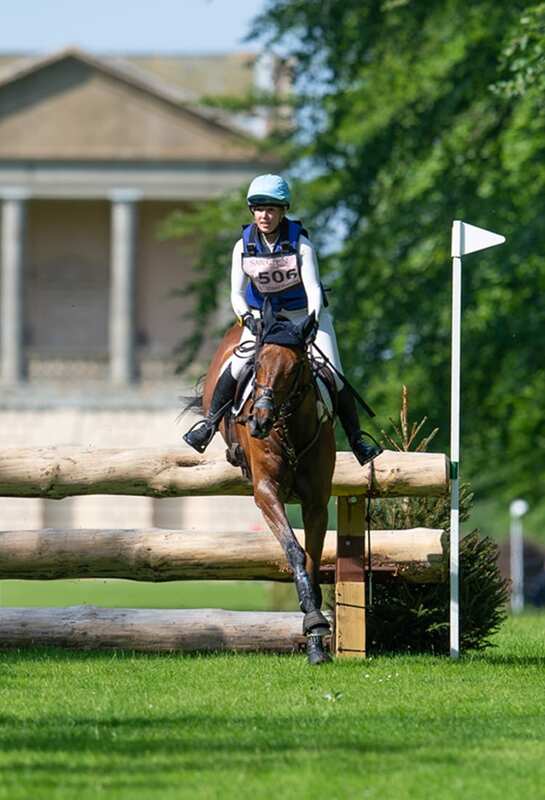 Make sure to follow Rosa on Twitter (@Rosaonslow) as she continues her eventing success. Freedom Health LLC is delighted to welcome Rosa to the SUCCEED team!